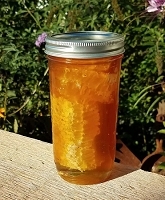 Honey typically comes off the hives starting in July through late Fall.Comb honey is straight from the hive! 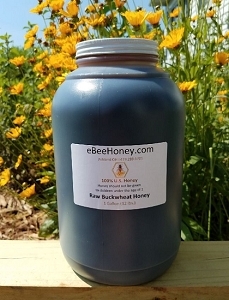 Comb honey is hard to find today since not many beekeepers produce comb honey. 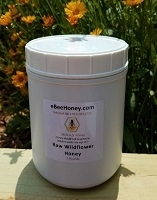 Depending how much we produce, we can be sold out in a couple of months or have enough until Christmas time, we never know. 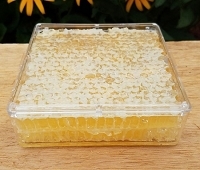 Producing comb honey takes a lot more time preparing the hives to produce it. 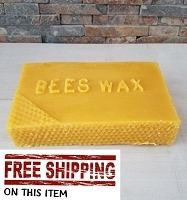 The weather has to be nice and hot to get the wax glands of the bees working and there has to be a very strong nectar flow at the same time. 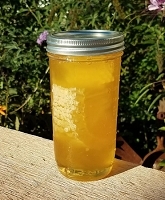 Weather impacts the production of comb honey. 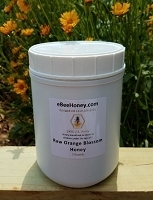 Too much rain, no nectar, too little rain, no nectar - too cool and bees won't have their wax glands producing the wax needed to produce the comb. 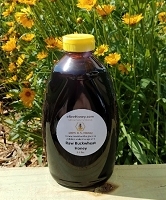 Lots of issues, so many beekeepers simply produce honey they can extract. 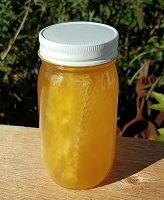 When comb honey is produced the comb honey has to be cut off the frames by hand which takes more time than spinning the honey off the frames. 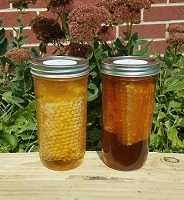 So finding comb honey is getting tougher and tougher due to the weather, amount of time and extra beehive equipment needed. 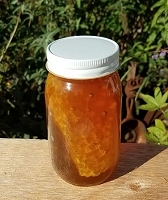 Some folks call it honeycomb - comb honey sells out pretty quickly and this year we've had a ton of rain and now it feels like Fall outside in the middle of August - it's crazy. So it's going to be a small crop this year.